In no other city would you find so many renowned and historic cultural venues as in the Austrian capital, Vienna. As well as the State Opera and the Musikverein, the Vienna Konzerthaus is considered a classic stronghold that has adapted to the challenges of the 21st century with a phase of renovation which took place during the turn of the millennium. As well as its world-class classical concerts, which range from symphony to chamber music, the venue’s eclectic programming also hosts numerous jazz, pop, and world music concerts which come with an increased need for sound reinforcement. 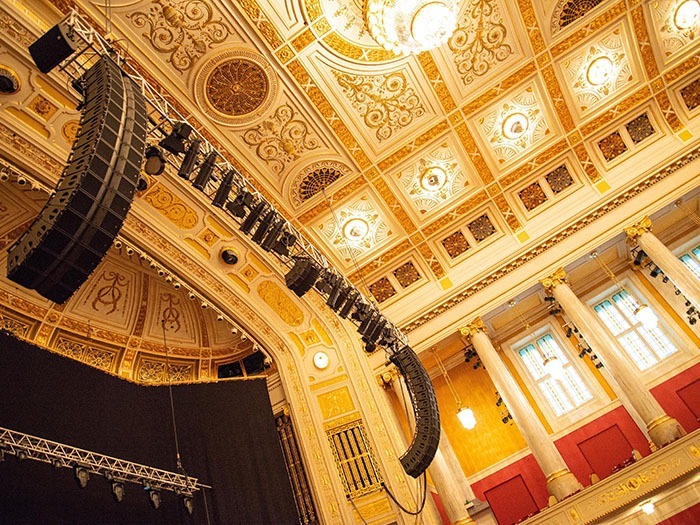 In 2018, the Vienna Konzerthaus took the next step into the future and decided to install a new public address system. 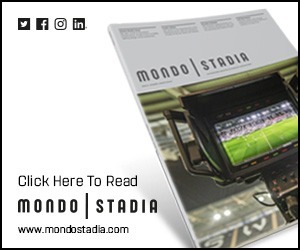 The specifications: transparent sound with optimum coverage and maximum system flexibility for use in different halls and configurations. 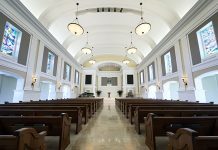 The subsequent on-site selection process was probably unparalleled and, after an intensive listening, testing and evaluation procedure presented a clear winner: L-Acoustics. The result of a competitive invitation to tender, a total of five manufacturers were included in the elaborate selection process. As early as April 2017, an extensive grid measurement was carried out and the measured data, including CAD plans, were made available to the individual manufacturers. 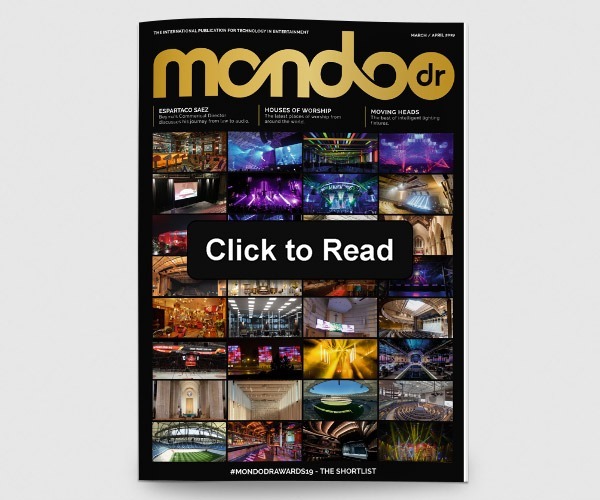 Then in August 2017, each manufacturer received a day in the Great Hall of the Vienna Konzerthaus—with its 1,240 m2 sound reinforcement area and 1,850 seats spilt between the ground floor, balcony and gallery—to reveal its recommended sound design for the venue. After the four-hour listening test, each system was also measured by Vienna Konzerthaus’s sound team. An independent consultant, Peter Willensdorfer from Tonarchitektur, had overall responsibility for the tendering and evaluation process. 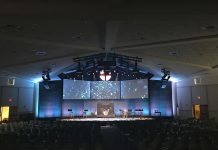 The winning system from L-Acoustics convinced everyone involved not only in terms of sound, but also in terms of handling, short setup and dismantling times, and its high level of flexibility and scalability since the system was destined for use in both the big hall and smaller rooms where configurations would vary. 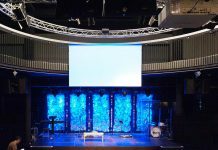 “L-Acoustics convinced us with a precisely designed sound reinforcement concept that covers the entire auditorium area in the big hall, taking room acoustics into account,” said Ingeborg. The new sound system at Vienna Konzerthaus consists of two hangs of 16 Kara positioned stage left and right, a centre cluster of four Kiva II, two X15 HiQ as outfill for the proscenium choir, two X8 as left/right outfill for the orchestra seats, and seven 5XT as frontfill. Low frequencies are catered for by four SB18s, which sit side by side in cardioid configuration on both sides of the stage, supplemented by two KS28 in the centre. The complete system is powered by eight LA12X and four LA4X. For flexible use in the individual halls, some of the amplifiers are housed in mobile racks. “The system is not permanently installed,” said Ingeborg. “Only a small part of the cable in the main hall is fixed cable. Depending on the concert, we build the system almost every day. Some of the LA12X and LA4X are housed in a rack in a small space above the ‘Gitterloge’, an old German name for a special box in a theatre.” The cable run from there to the terminal panels stage right and stage left was carried out by Signal Sound & Light Distribution GmbH. Additional cabling runs from the booster room to the grid box routing speaker cables to the crossbar. On the stage are two mobile racks for the front and outfills, as well as the subwoofers. The first concert with the new L-Acoustics system took place on May 24, 2018 featuring the eight-member crossover ensemble Red Baraat. L-Acoustics Head of Applications – Install for Germany, Austria and Switzerland, Martin Rode, created session files as a starting point for the three different stage sizes. In addition, the system was measured by Ingeborg Doblander and Peter Willendorfer in the diffuse sound field.